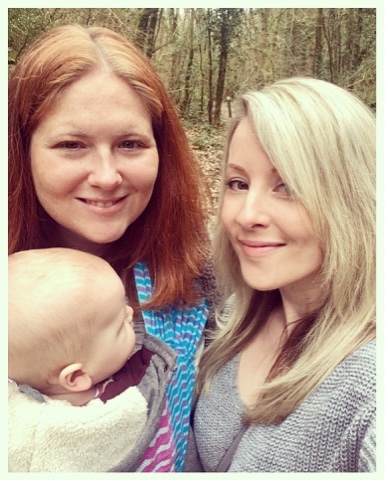 This week was a week we had looked forward to for months and months, our first holiday as a family of 3. 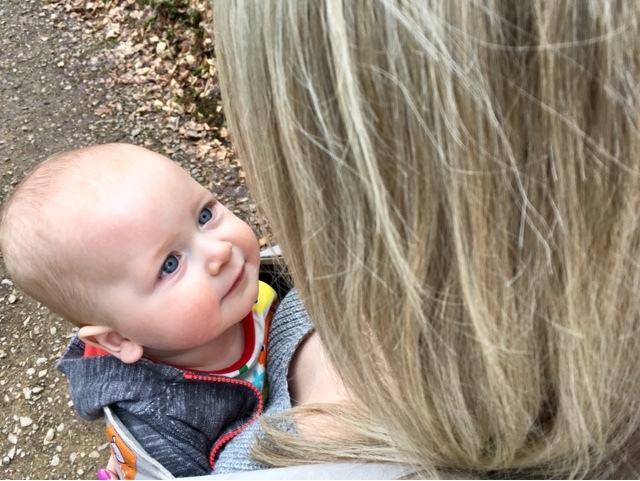 It's no secret that we have a love of travel, and have always longed to have a child to explore the world with and pass on our sense of wonder and adventure, so it felt that at 9 months of age, our first trip with Oskar was long overdue. 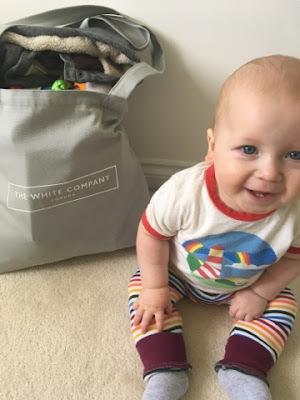 When looking for where to visit first, we wanted somewhere that was fairly easy to get to, didn't cost the earth, and was child friendly, meaning we wouldnt have to pack up the contents of our house in order to make sure there was everything Oskar might need. 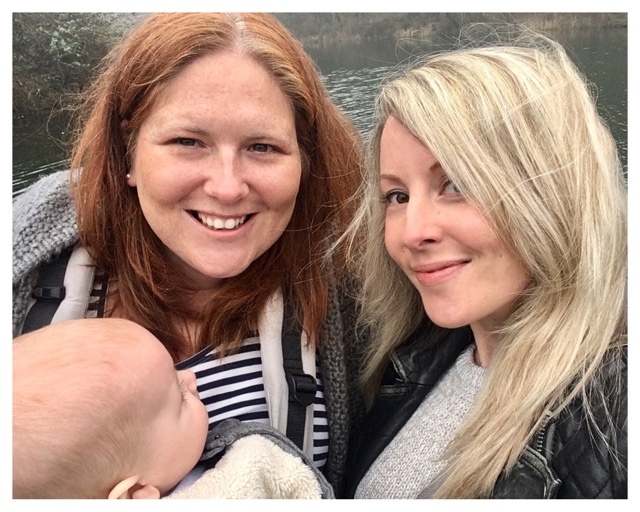 With this in mind, we were intrigued when a friend of ours mentioned she had visited Bluestone with her sister and nephew recently, and suggested we check it out. Bluestone is in Pembrokeshire National Park, Wales. It has a similar feel to it as Centre Parcs, in that accommodation is in lodges or cabins around the park, with a central village with shops and restaurants, a swimming pool and indoor adventure centre. Cars are not permitted to enter the grounds apart from on Mondays and Fridays, and there are organised activities which you can partake in as much or as little as you want. And there's a spa, for a bit of child free relaxation too. More than anything we wanted somewhere beautiful, that we could take long walks and enjoy the outdoors, and could have some time together, just the three of us. Bluestone seemed to tick all the boxes, so we booked and waited for Monday 13th March to roll around. On Monday we got up early and headed off in the car, leaving around 11am. We knew we would want to stop off for lunch on the way, and let Oskar have a bit of time out of his car seat, so planned to stop off at a place we have been to before, just off the M5 in Gloucester, where we were able to have some lunch and spend a bit of time out in the glorious March sunshine. With full tummies we headed back on the road and finally reached out destination around 4pm. 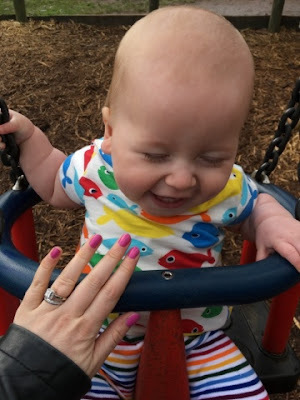 Oskar was an absolute superstar and despite being in his car seat for longer than he has ever been before, spent the whole time either napping or chatting, giggling and playing happily. Upon arrival we waited in the long check in line and were given our keys and a map of the park. It was a funny feeling, entering a village designed solely for people on holiday, as we have never visited anywhere like that before, but it was big, and beautiful, and we quickly found our cottage and home for the next 5 days. 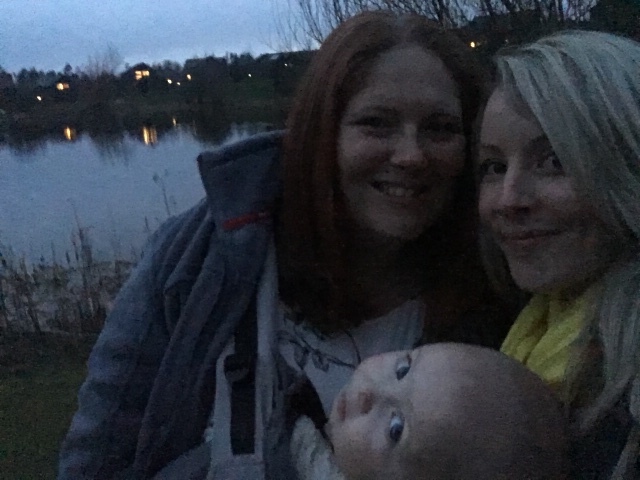 After unloading and taking the car back to the designated car park, we headed out for a walk around the lake nearby. It was going dark, there were bats flying overhead, and we were immediately struck by how peaceful and tranquil everywhere felt. Waking up on Tuesday was really peaceful, all 3 of us in the same bed after a good night's sleep. 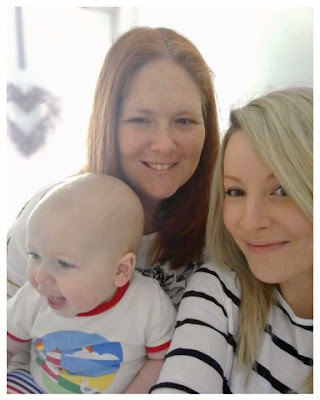 Bluestone provide a travel cot but Oskar is used to sleeping right next to us in an attached co-sleeper cot so it was easier all round for him just to sleep in bed with us. We decided we would take him swimming in the morning and venture out in the afternoon. We haven't taken him swimming more than a handful of times, so initially he seemed unsure. He clung on to Sarah as she lowered him in to the water, but before long was splashing around and enjoying the freedom of the warm water around him. The Blue Lagoon offers both a full size beach type pool and a smaller toddler pool, a lazy river, two slides, and a variety of water based games such as fountains and rock pools. After an hour or so we all got out and showered and headed back to the village area for lunch at the coffee shop. 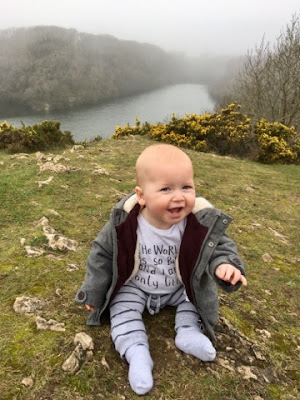 In the afternoon we visited Bosherston Lakes, a National Trust site which has beautiful freshwater lakes, gorgeous mountains and the most spectacular views. 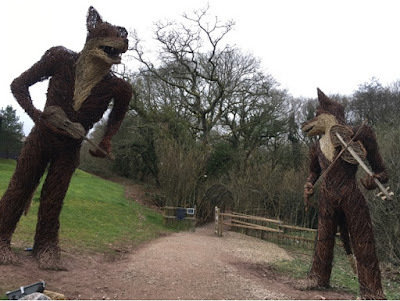 It was only a 20 minute drive from Bluestone and very well worth the visit. 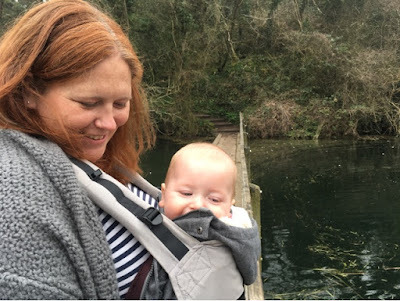 With Oskar secured snugly in his sling, we set off. The views were incredible and the long walk was peaceful and very much enjoyed by us all. We always say that I love water and Sarah loves the trees, so this was a perfect mix of the two. 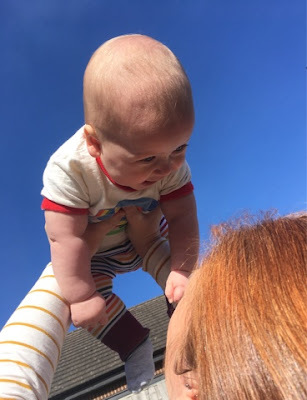 Oskar just loves singing at the top of his voice as he took in the sights all around us! After a busy day, dinner and an early night was welcomed by us all. Wednesday morning started out just the same, swimming! 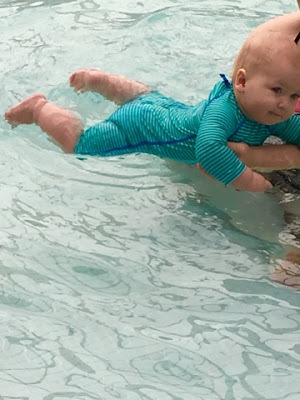 This time Oskar found his confidence much more quickly, and really enjoyed his time in the water. We vowed to take him to our local pool more so that he always loves the water as much as we do! 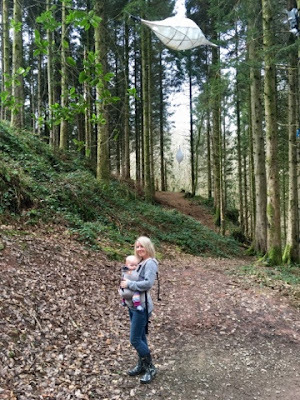 After a quick lunch stop back at our lovely little cottage we decided to explore the forest trail in Bluestone itself, so set off for a wander amongst the trees. There is so much peace to be found just walking with nature, and we are always at our happiest by switching off from technology and the rest of the world and enjoying time just us. Some of our loveliest memories have been made in Wales in mountains and forests, and Yosemite national park in California- the forest is definitely a happy place for us! After a little while we found a gorgeous little log cabin with a campfire burning, that offered hot chocolate, and marshmallows for toasting and making smores. It was a welcome afternoon pitstop for all of us, and we really enjoyed just sitting and listening to little else but the sounds of the forest, the trickling stream and the song of the birds. 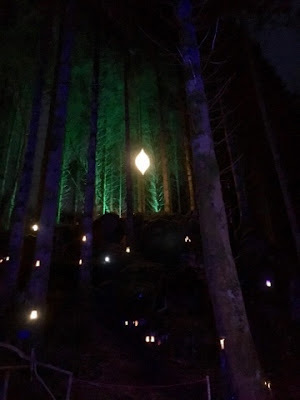 That evening we went back again to enjoy the light show provided by Bluestone, where the trees had been lit and large illuminated bugs lined the forest walk. What with trees and fairylights it was hard to say who enjoyed it more, Oskar or Sarah! It was magical, enchanting and beautiful. 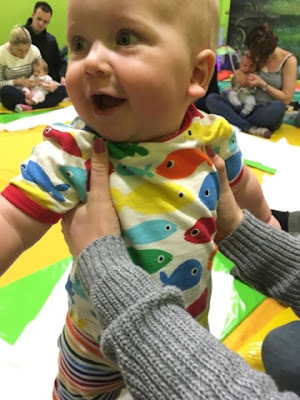 Thursday morning brought a different activity, baby sensory! 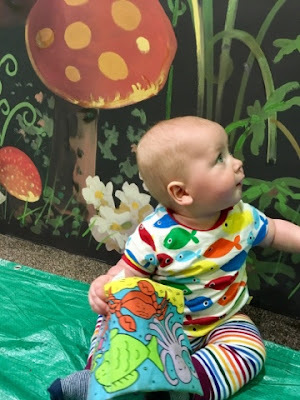 We go every week at home, but thought it'd be nice for Oskar to attend one class here too, so had pre-booked on to the Thursday morning class. After signing, signing and playing our way through "French week" we were ready for a coffee and headed upstairs to the rainforest cafe. 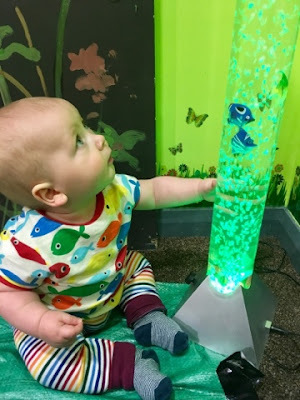 The adventure centre looked great for older children and toddlers alike, with huge soft play and lots of games, all included in the cost of the stay. 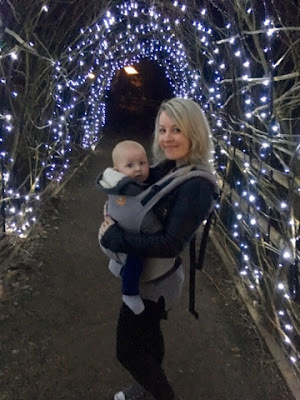 Oskar, however, was happy with a breastfeed and to look at the twinkly lights on the indoor trees while we drank our coffee! 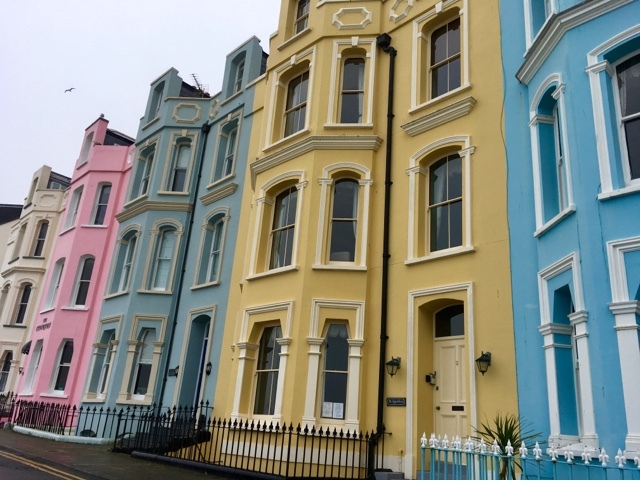 On Thursday afternoon we had planned to visit the local town of Tenby, for a walk along the beach and some chips! But the weather had other ideas, so although we enjoyed the drive there it was far too wet and windy to go anywhere, and Oskar was decidedly exhausted from his exciting morning, so after admiring the scenery, we drove back again! Instead we headed back to the forest at Bluestone, having enjoyed it so much the day before. Again it was tranquil, peaceful and beautiful. 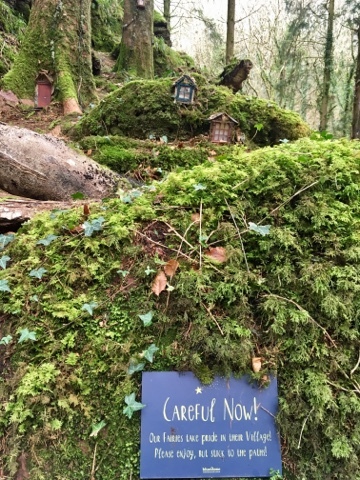 We especially loved the fairy village amongst the trees, it must be captivating for toddlers! As Thursday was our last night in this lovely place we went out for dinner. 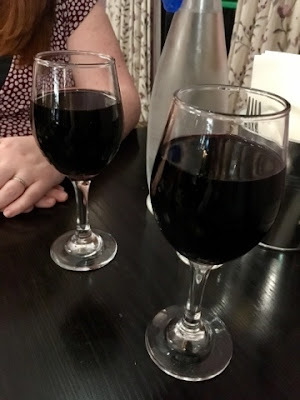 There isn't a huge choice in terms of restaurants, and the selection for vegetarians is even tinier, but we opted to visit the Oak Tree restaurant, for pizza and wine! We are always impressed with our son's ability to not only sit well during a meal but also eat a fair amount too, so we were able to chat and enjoy being out as a family. We definitely feel baby led weaning pays off at moments like this, being able to just put some food in front of Oskar and know he will happily just sit and munch away! 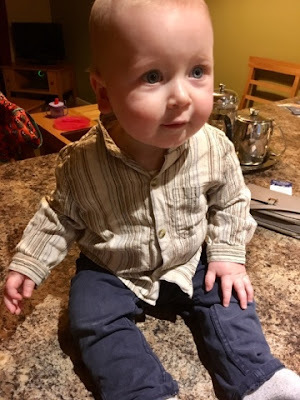 Plus we feel it's really important that he grows up knowing how to behave at meal times, and won't automatically demand a phone or a tablet for entertainment. He always manages to charm anyone who comes anywhere near our table! On Friday morning we were sad to be packing up our things and saying goodbye. 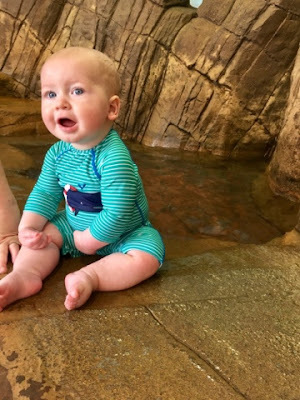 Although you have to vacate your accommodation by 10am, you can use the facilities until 3, so we decided to go swimming one last time to tire our tiny boy out before the long journey home. The good thing about going during term time is that nowhere felt busy, even places like the swimming pool, so we were able to enjoy everythibg there was on offer without feeling too overwhelmed by business or long queues. We decided to take a different route on our return journey, that took us through the Brecon Beacons. We have previously holidayed here and so it was lovely to drive through the picturesque mountains and valleys on our way home. Oskar must've been tired by his busy week as he slept nearly the whole way home! Which was perfect as it meant we could chat and listen to our music and enjoy the last moments of our holiday before returning home. It's funny how holidays change you. I guess that is part of the appeal. New sights, sounds, experiences, you always come back a slightly different person to the one who left, and it is wonderful. I love the chance to reflect on life, on our goals, ambitions and dreams, on where we are and where we're headed and what we want to come next. It reminded us how much we love to be surrounded by nature - the trees, the water, the sky. Although we weren't expecting is the change in Oskar to be so dramatic! 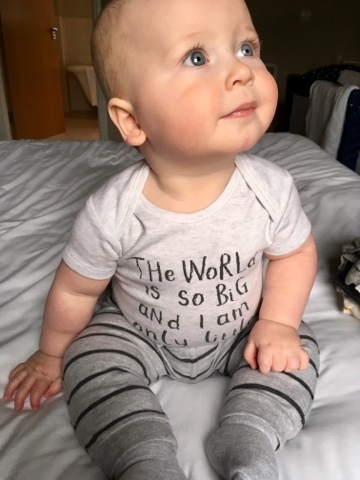 Maybe not so much to the outside world but to us, his mothers, he has grown and changed so much in such a short period of time! 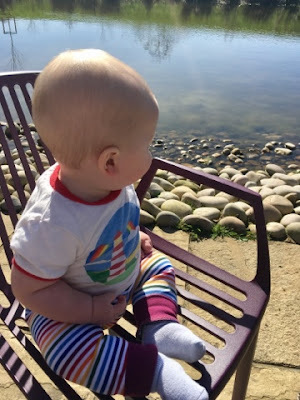 It was wonderful to see his confidence in the water grow so much from going every day, and to see his eyes sparkle in wonder and delight at all the new places around him. He has learnt a whole new load of sounds, and gestures, and he seems so much older and wiser. 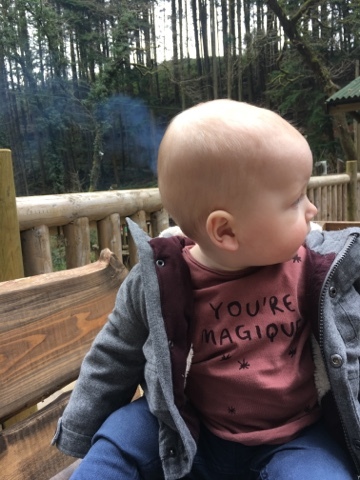 He amazes us every single day, and our first trip away with him was at times overwhelming with just how magical it was, how magical he is, and how magical it is to be a 3. I hope we can always fill his life with as much adventure as he does ours, and this week was just the beginning of it. 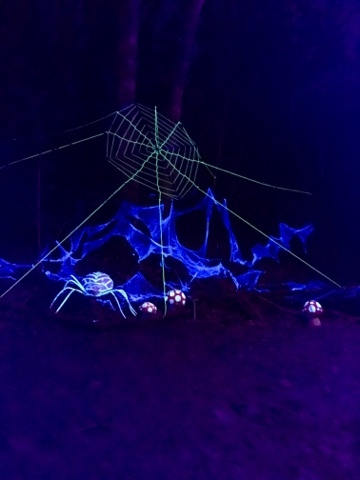 If you are heading off to Bluestone, here are a few things you need to know! * There is a cot in each cottage or cabin, but it's a travel cot, so might not suit every baby. We assumed it'd be a full size cot and planned for Oskar to sleep on the mattress of it, next to our bed, but instead he ended up in with us. Cot bedding isn't provided. *The golf buggies are quite expensive - the lesser advertised mini bus service, is free! * There is no plastic / children's plates or cutlery, so you need to take your own! Also take dishwasher tablets - you're only given two, and they're expensive in the shop. Tea, coffee, toiletries aren't provided either. *Restaurants aren't cheap, but not as bad as we'd expected - we went out for dinner once, with a starter, two mains and two glasses of red wine costing around £40. 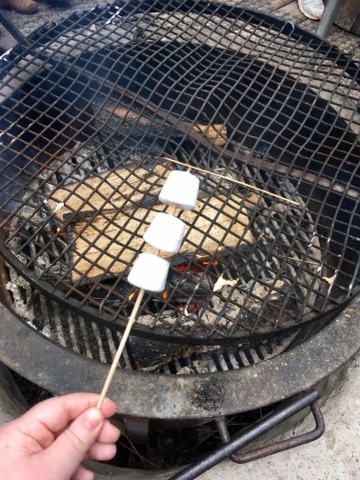 The other evenings we cooked in our cottage, using the Hello Fresh box we had taken with us - this turned out to be a great idea as we really enjoyed cooking new recipes! Breakfast and lunch options were quite limited, and as it's child friendly, most things close by 9pm. 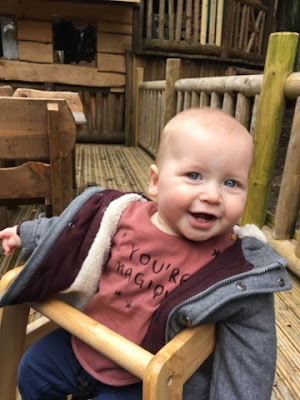 *We wouldn't visit without children - Bluestone is definitely centred around families. 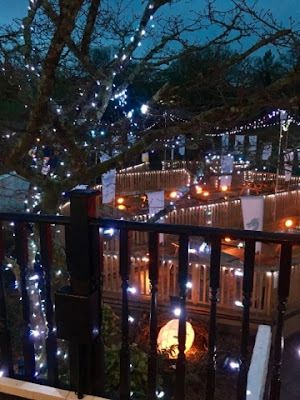 It took us a day or two to find our feet in Bluestone and were initially unsure of the 'holiday park' scenario, but once we had settled in, we adored it. 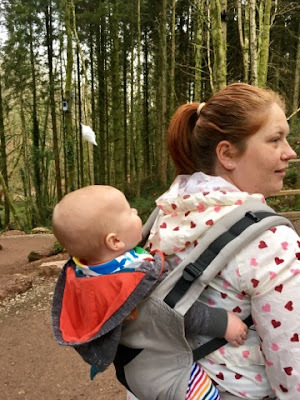 Bluestone is suited to so many types of families - whether you want to do lots of activities, or like us, do a few activities but mainly explore the forest! We cannot wait to return and are already planning another trip, and also planning on family trips with Oskar's cousins too. For a week we we felt like we found a beautiful place to relax and enjoy the world around us and each other's company. We realised what makes us happy, but also that we are happier right now than we have probably ever been! Sounds like a lovely place and a lovely adventure as a family! Sounds like a lovely, peaceful few days! What a great idea to take the Hello Fresh box.